Adaptation encompasses efforts to prepare for and increase resilience to climate and global change at the local, regional, and national levels. There is no “one-size fits all” adaptation, but there are similarities in approaches across regions and sectors. Sharing best practices, learning by doing, and iterative and collaborative processes including stakeholder involvement, can help support progress. 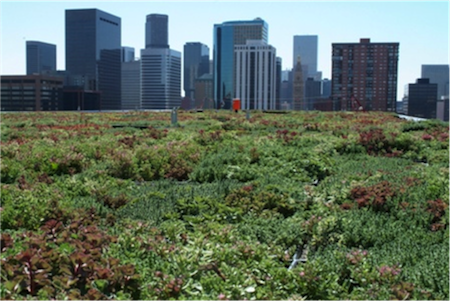 An example of adaptation: "green roofs" help reflect heat and retain rainwater. Vulnerability to climate change is exacerbated by other stresses such as pollution and habitat fragmentation. Adaptation to multiple stresses requires assessment of the composite threats as well as tradeoffs amongst costs, benefits, and risks of available options. To learn more about adaptation, explore the resources in the sidebar.